In late 1919 or early 1920 Marcel Duchamp, already famous for his ‘ready-made’ sculptures was returning to America following a stay in Paris and needed to buy a present for a friend. The friend in question was Walter Arensberg an art dealer who already had everything money could buy. Duchamp came up with the bright idea of asking a pharmacist to empty a glass phial or ‘ampoule’ and reseal it once it was filled up with nothing more than the Paris air. 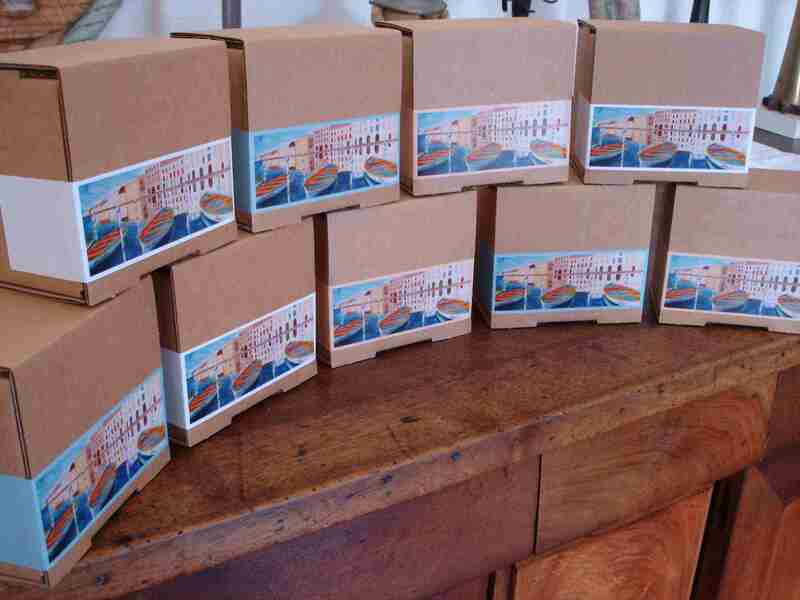 “Air de Paris” was then replicated in limited edition and these can fetch quite a sum in auction. Should you not have 845,000$ to spare, I have good news for you! This concept has been relaunched in a slightly different format by an entrepreneurial soul, Freddy Valette. 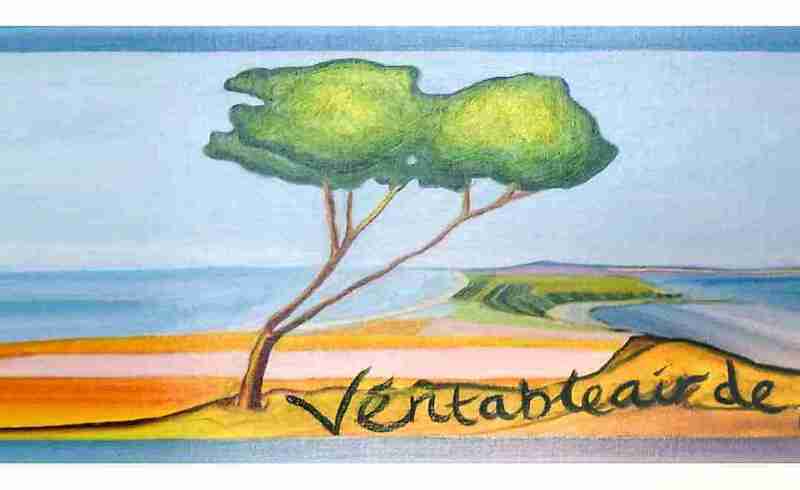 Based in Southern France Veritable AIR De SETE invites regional artists to design labels for small tin cans sealed at one of the last remaining independent canneries in Sète, filled of course with nothing but fresh air! 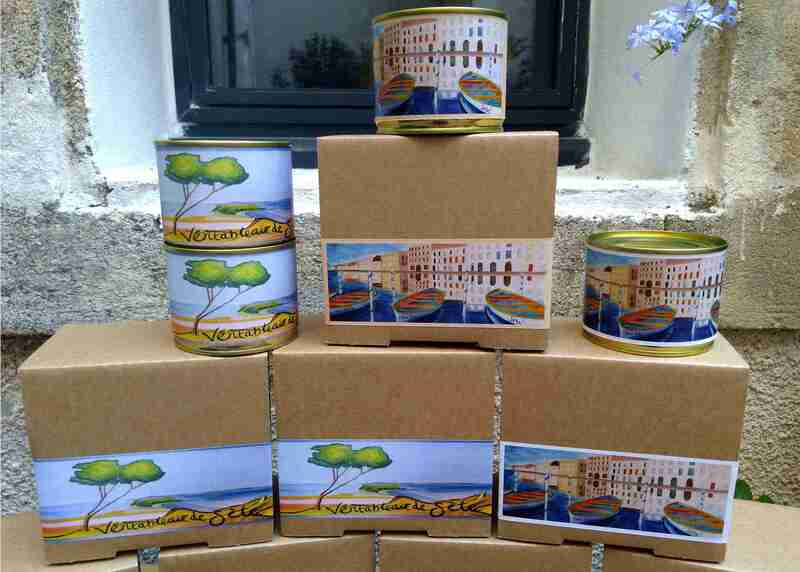 Delighted to accept the honorable invitation, I have created two designs for the tins and their boxes which can be bought from the Tourist Office in Sète, Musée Paul Valéry and Librairie Échappée Belle, for a mere 10€!